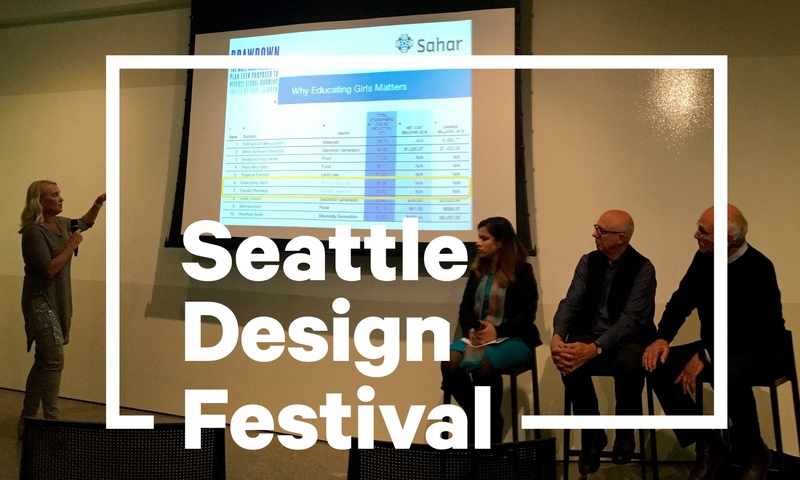 Friday, September 14 2018, Sahar hosted an evening at the Center for Architecture and Design as part of Seattle Design in Public Festival. 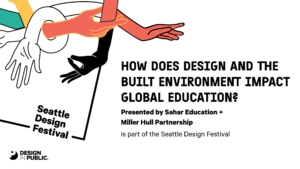 The discussion centered around how design and built environment impact global education. Most these discussions focused on physical infrastructure and space. Ginna Brelsford, Sahar Executive Director, Dave Miller, Miller Hull partnership partner and Sahar Board Member, Rick Sundberg, partner at Sundberg Kennedy Ly-Au Young Architects, and Shogofa Amini, Sahar Afghan Fellow, each pointed that education is the main key to development and growth – the human mind is capable of making possible all development achievements. Today, Sahar’s Gawhar Khatoon High School is one of the most provided for schools in Balkh Province. Sahar provided a place where girls can go and physically and mentally focus. They don’t have to study under tent, without a desk, without a chair. Shogofa Amini shared her experience of studying in a tent with no desks – it was hard to take notes but school was where she wanted to be. Today, looking at Gawhar Khatoon it makes a big difference. This building is not a only a building. It’s a place where girls build their future of their country’s future. 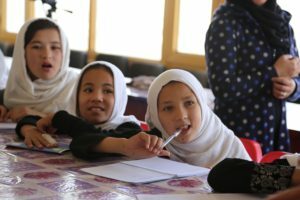 Building a school in war zone country means so much for Afghan girls – the generation hungry for education and so determined to learn. Schools mean hope for the future. Schools mean they can take responsibility for their communities. And schools mean peace. Only by educating young girls and boys will they have opportunities to stand up for themselves and build their own country in a peaceful and positive way. David illustrated Sahar’s plan for a new boarding school. This school will open up a door of opportunity for girls who don’t have access to education in their villages. Building schools won’t be possible without engaging the community and Ministry of Education in Afghanistan. Rick Sundberg shared his work in another part of the world – Tanzania. His work building an orphanage and supporting buildings makes a difference in these individuals lives. Many of the children in Tanzania continue on to higher level of education that wouldn’t be possible without having a place to learn and grow at. 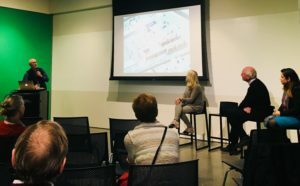 Rich Sunberg able to build the trust in a community where he could prove that design and the built environment could make a big difference for education. 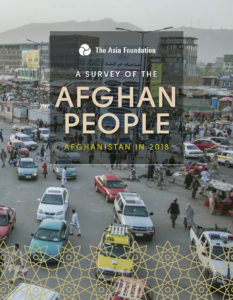 Investing in education is how we can help Afghanistan or developing countries. Sharing books and pens, building a place where they can learn, a place for them to stand up for themselves to bring positive changes in their countries.